In the modern remake of Pokémon Snap, people will use cellphones to photograph wild Pokémon, but polices security cameras will be snapping them, too. 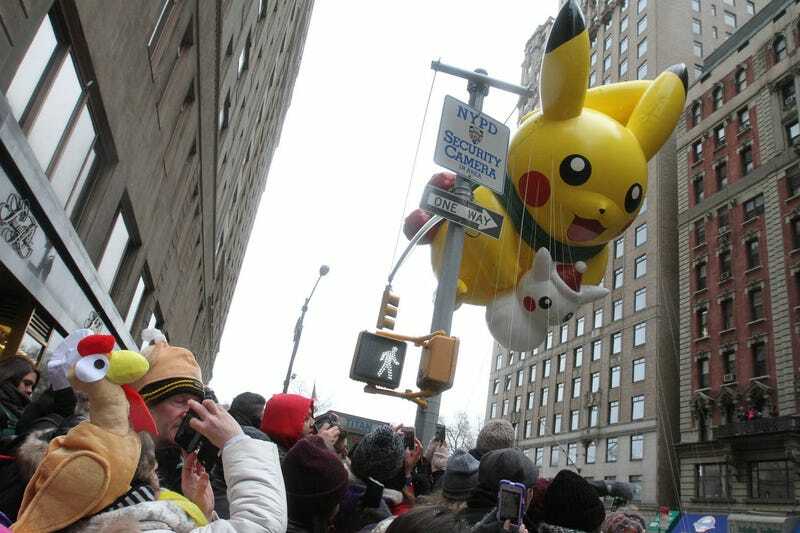 Or...this is a photo from Thursday's Thanksgiving Day parade in New York City. Yes, that represents the week pretty well. Thanksgiving is done with and we're through the biggest weeks of video game releases for some time—and we're through a pretty good week of Kotaku stories, too. You can read the best of what we published over at out Kotaku Selects subsite. One of my favorites for the week? How to Make a Bullshot. Photo: AP Photo/ Tina Fineberg.